I’m getting so much stuff sent to me about the Maorification of Everything scandal that I need a whole office of scribes to sort it. One of the things I’ve been sent is a brilliant little book. 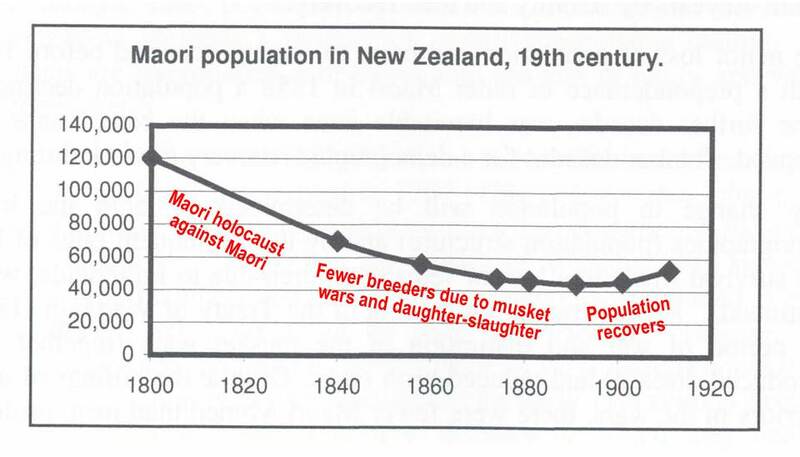 It’s going to allow me to boil down the whole early Treaty history into a form that’ll make it crystal clear just how royally the Crown and Maoristocracy have been conning us. I’m going to need your help to pass on these vital facts to everyone you know. I don’t want you to miss this post, which will be coming after I’ve finished exposing the biased membership of the Waitangi Tribunal. Therefore, why don’t you subscribe to this blog? That’ll save you having to check back all the time. Historian Michael Bassett has told the Waitangi Tribunal he does not want to be reappointed. Dr Bassett has been a tribunal member for 10 years and his existing three-year appointment expires at the end of this month. Now this again was from 2004. But has the Tribunal changed? I’ll soon be posting on the balance of the current membership, which is supposed to be a fair mix of Maori and Pakeha. It’s anything but. In fact, it’s a miracle Michael was ever allowed on in the first place. The former Labour Cabinet Minister has regularly criticised the tribunal, accusing his fellow members of bias. His most recent criticisms were of the tribunal’s Tauranga report, in which he recorded a minority view. In a subsequent newspaper column he accused his fellow members of “inventive arguments” and said it was time to “review the tribunal’s usefulness”. Thanks to Lindsay Mitchell for alerting me to this. Stay tuned for my analysis of the present Waitangi Tribunal. 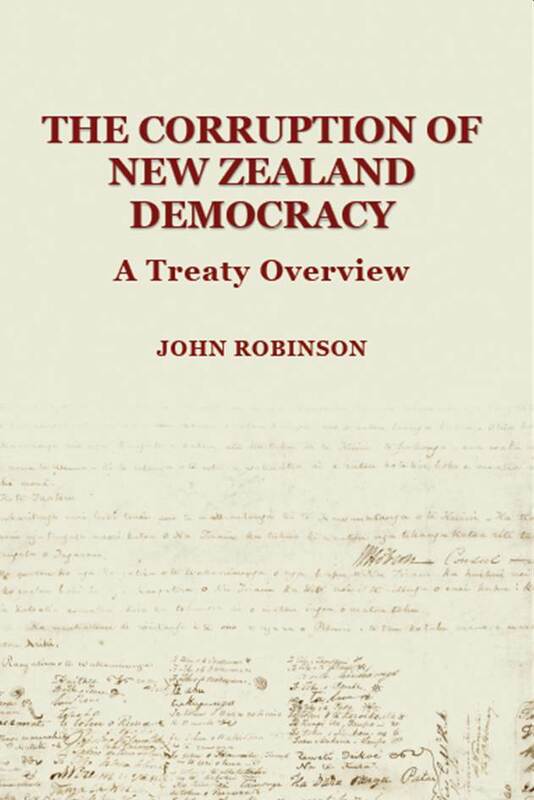 Dr John Robinson is far from the only academic to voice alarm at the Treaty brownwashing scam. 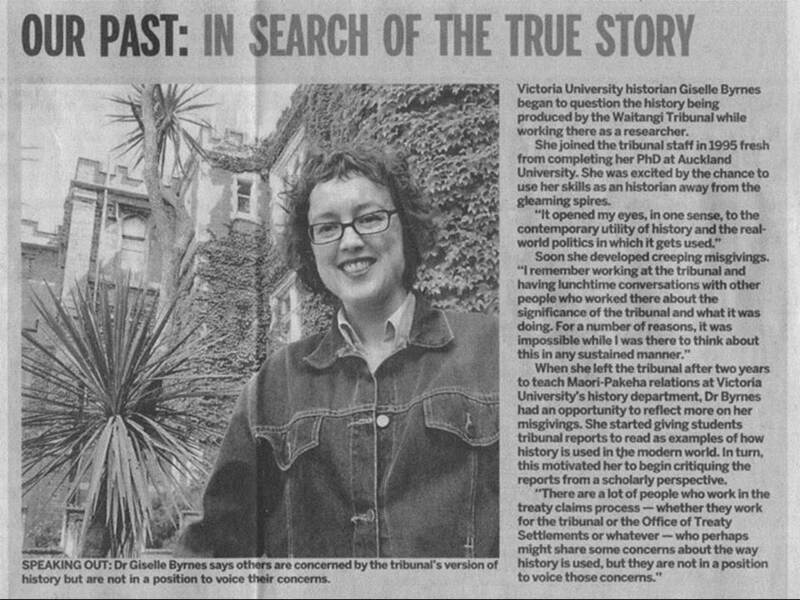 This from the Herald archives about historian Dr Giselle Byrnes’ experience with the Waitangi Tribunal. The tribunal – one of New Zealand’s more controversial institutions – has become a nursery for the rewriting of New Zealand’s history. It seems a laudable enterprise. But questions are emerging about the academic validity of the history the tribunal is producing. In a new book, The Waitangi Tribunal and New Zealand History, Victoria University historian Dr Giselle Byrnes lays damning charges against the tribunal, describing its attempts to write history as a “noble, but ultimately flawed experiment”. The tribunal, she says, is not writing “objective history”. Rather, the reports it produces are deeply political and overwhelmingly focused on the present. It commits the ultimate faux pas of judging the past by the standards of the present. Other academics are also concerned, but reluctant to say anything publicly, Dr Byrnes says. Dr Byrnes … believes the tribunal should make overtly clear its inherent bias, otherwise there is a danger that lay people reading tribunal reports will be misled. Her experience sounds eerily similar to that of sceptical climate scientists. Now this was from 2004. But if you think the Treaty brownwashing process has become more balanced in recent years, stay tuned. Thanks for this article to Ross Baker of the One New Zealand Foundation. My next post tomorrow (Wednesday) will blow you away. Concrete proof of government corruption aboard the grievance gravy train. Read it here tomorrow afternoon or evening.